“We always ask ourselves: What’s best for the user? What’s the best value we can create for people out there? And how can we bring it to them in a manner that is extremely simple for them to understand and use,” said Kenneth, the CEO and founder of Gaption. Gaption is a social network that people use to discover and share fun content, and to also monetise their passions by creating content. “Gaption is about helping people turn their passions into sustainable endeavours. And almost always, the things people are passionate about are posted up on social media platforms. At Gaption, we try to make it as simple as possible for people to create, share, and potentially monetise their content,” he said. Given their vision to empower their users and to enable them to create cool content, the Gaption team is constantly brainstorming and evaluating ideas that would benefit their users the most. While they often come up with numerous ideas, they generally narrow it down to 3, or sometimes even less. This gives the team a better perspective in terms of the priority of each idea and it’s potential impact to each user. The best ideas are usually the ones that get people riled up enough to claim that they’re the epitome of coolness. While the team agrees, they believe that sometimes they make the right call when rolling out ideas, and sometimes they mess it up and try to patch their way back onto the right track. Once the team decides to roll out a specific feature, they then need to address the technical challenges of the platform and ensure that the roll out is as glitch-free as possible, which is often tough. They roll out features gradually across servers to balance the heavy load. Currently, Gaption boosts a user base of over 50,000 people from countries like USA, Singapore, Malaysia, UK, Canada, Brazil, Taiwan, Japan, among others (in descending order). 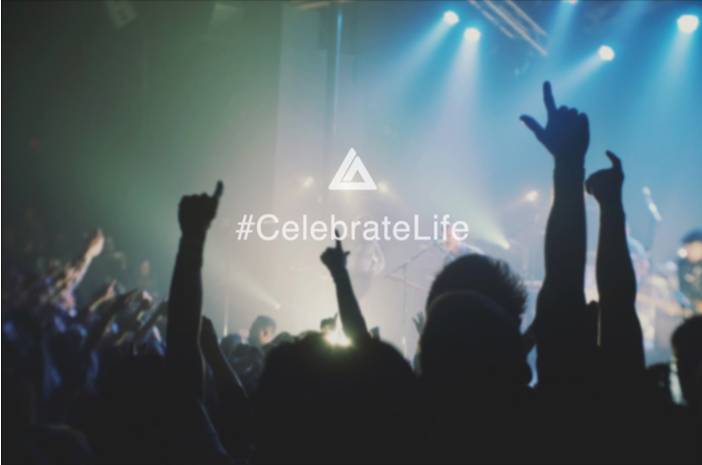 In order to better inspire content creators, artists, and other creative individuals on the platform, to pursue their passions, Gaption recently announced their #CelebrateLife campaign. This year-long campaign is focused on remembering the fact that life is indeed short, and that it should be spent meaningfully. “Our mission with this campaign is to encourage people to pursue the things they are passionate about, with the limited time they have with their lives. And hopefully, Gaption can play a role in empowering them to achieve their dreams,” Kenneth said. In conjuction with the new campaign, the platform rolled out two new features called Exclusive Subcriptions and Storytelling through their ecosystem. 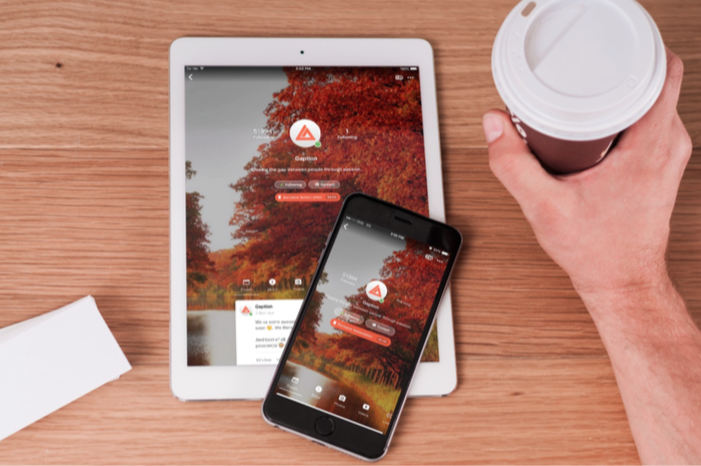 Gaption is currently available for use on the iPhone, iPad and the Web, and as such the platform’s content creators are now able to offer exclusive and premium content to paying subscribers. Gaption users can enable this exclusive subscriptions feature on their profile once they succeed the 100 followers mark. They will then have access to a ‘subscriber-only’ visibility option for all their content, so that they can create content for both their paying and non-paying subscribers. Exclusive subscriptions are fixed at $4.99/month, and the revenue generated through this model will be split in half between Gaption and the content creator. Gaption believes that this exclusive subscriptions feature would be a great way users can empower their favourite content creators, brands, and artists by supporting the premium content that they create. While the exclusive subscriptions feature may financially incentivise content creators, they also introduced a blogging environment called Storytelling that enables users to create rich content like articles and blogs for their users. Users can easily create aesthetically pleasing articles that are rich in imagery, video and typography. Users can simply create a blog post by clicking on the ‘New Blog’ button on top of the web app, and they can use the Storytelling environment to structure, design and style their articles, just like you’d do on any other blogging environment. 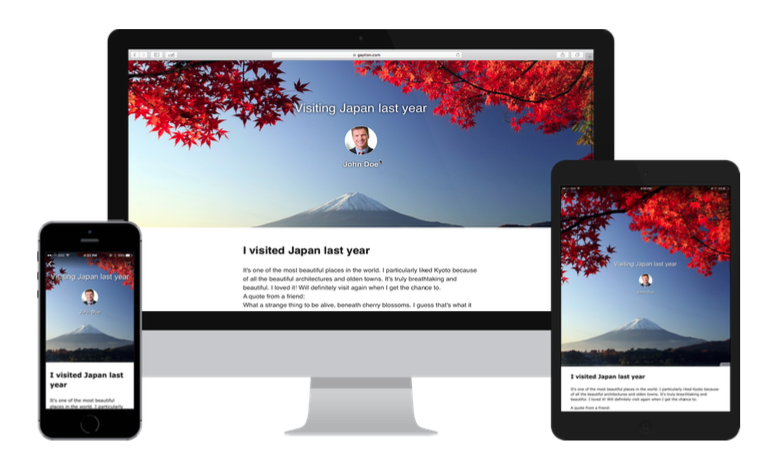 “Storytelling on Gaption is a very new feature just rolled out a month ago. We have many plans for it and aim to make it a great way for people to create and enjoy rich, beautiful and visually immersive content from all of their devices,” Kenneth said. He also feels that Gaption’s blogging environment can be a good alternative for Malaysian bloggers, especially for the ones that use Medium.com as it’s currently banned in Malaysia. He highlighted that the differentiating factor between the two is that content created via Storytelling can be distributed throughout Gaption’s ecosystem to users all around the world. However, it’s also important to note that Medium.com was blocked primarily because they hosted content that was considered sensitive, so if the same content is produced on Gaption, I’m quite sure that it will be blocked as well. As such, Gaption tries to instill a culture of passion and positivity on the platform, and they often remove any malicious or illegal content from the platform. This is to ensure that everyone is kept safe and protected on the platform.